Sunglasses from Marvel’s Iron Man 2, starring Robert Downey Jr.
Last year, the summer blockbuster that we were really looking forward to seeing had to be Transformers: Revenge of the fallen, not only for the curves of Megan Fox but also for the explosive action director Michael “I like to blow sh*t up” Bay tends to produce. 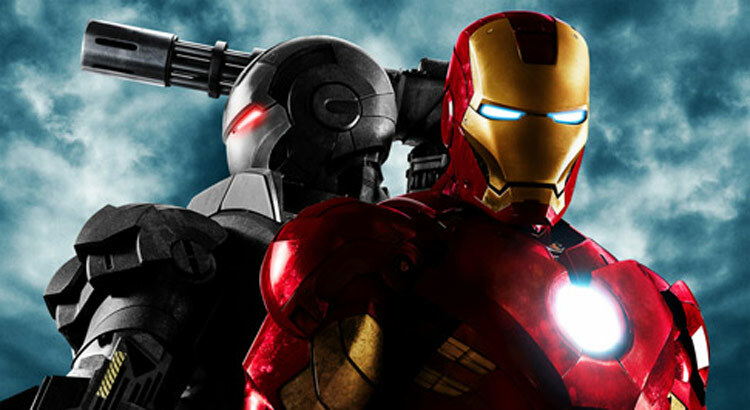 This year, we at SelectSpecs.com are really looking forward to seeing the sequel to the 2008 blockbuster, Iron Man 2, starring Robert Downey Jr. as billionaire weapons inventor Tony Stark / Iron Man, Gwyneth Paltrow as Pepper Potts, and Mickey Rourke as arch enemy Whiplash. We’ve studied, with great interest the impressive Iron Man 2 trailer (see below) and taken a look at the gallery of movie stills to give you an idea of the eyewear we’re going to see in this guaranteed blockbuster of a movie! The brilliant Robert Downey Jr (recently seen in Sherlock Holmes) stars as the billionaire inventor and founder of Stark Industries, Tony Stark, who unlike most superheroes, makes no secret about his own Super Hero alter ego – Iron Man. Like most billionaires, Tony Stark likes fast cars, fast women, and nice things including flashy sunglasses (don’t we all?). Mickey Rourke recently had a return to form with an Oscar nomination for his performance in the tragic and moving 2008 film The Wrestler. 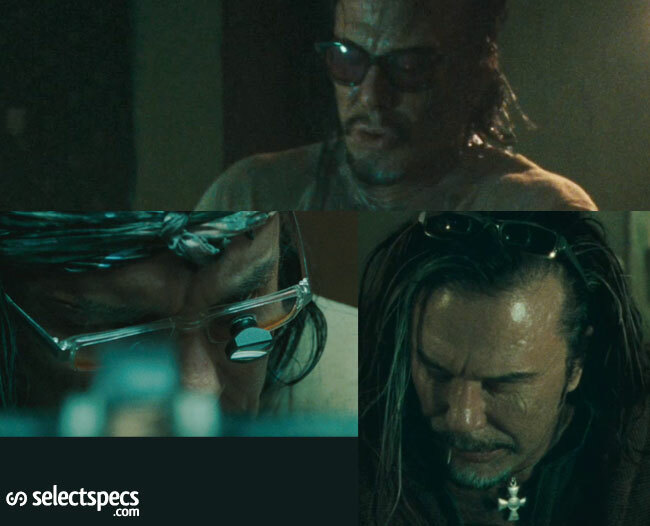 Rourke stars in Iron Man 2 as Stark’s arch enemy Ivan Vanko / Whiplash and can be seen in the trailer wearing spectacles and safety goggles as he produces God only knows what kind of Iron Man killing tools of destruction. We also spotted Sam Rockwell (the star of probably our favorite film of 2009 “Moon”) wearing some black thick-rimmed glasses. Sam stars as Arms Dealer Justin Hammer – a likely rival to Tony Stark’s dominance in the Arms industry. 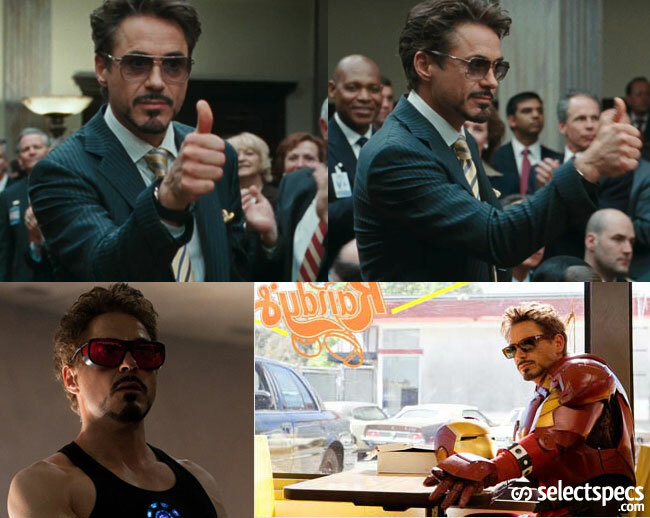 Those of you that have seen the first Iron Man film will recognise the following sunglasses that Robert Downey Jr. wore in several of the scenes. 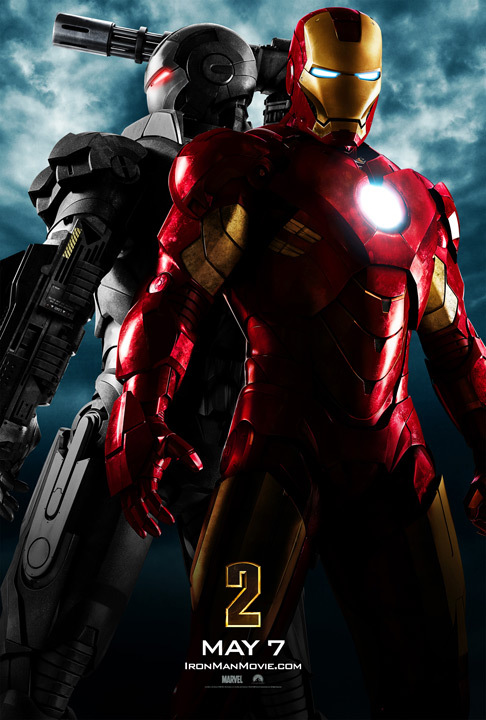 Iron Man 2 is set to be released in May 2010 and will no doubt be the first in a long line of summer blockbusters! Anyone knows what glasses is he wearing in the donutshop? Victor: The sunglasses are from Vonzipper. Hi, does anyone know what sunnies tony stark wears in in bar in Monaco, just before he goes out and races. Does any one know the name of the reading glasses Mickey Rourke wore in iron man 2? What are the sunglasses he wears in the courtroom?? Anyone know what glasses Mickey Rourke is wearing when he is standing in the alleyway-waiting for his passport etc? actually they are called initium….a friend of mine’s dad owns the company. Hello there. Does anyone knows what sunglasses Rurk uses when he gets the fake documments in Russia. Ira a little before the Monaco taxe. Thanks! Does anyone know the name of the shades Ivan Vanko wore, the metal looking silver frames? Can anyone tell me what’s the make of the glasses Mickey Rourke is wearing in the bottom right photo on his head. I have been searching on the site selectspecs.com but no luck. The sunglasses are Initium All-In. What are the clear glasses Mickey Rourke is wearing in Hammers lab when creatind the drones. I cant find them anywhere i have been searching for two days. And they are not from http://www.initiumeyewear.com/ They have to be a different name brand cause i cant find Whiplashes on that site. Please help if anyone knows. Sam Rockwell s black RX frame is called INITIUM 7th Son, frame colour black. Hey what’s Tony Stark wearing in Monaco right before the race? Initium All-In are the glasses Robert Downey is wearing no. I’m talking about the 3 images of Mickey Rourke. The bottom left image and the bottom right of those 3 images hey is wearing a clear see through frames. Trying to find out the brand name. Im trying to find those same clear glasses that Mickey Rourke is wearing!!! I looking for the same glasses. Rourke’s clear reading glasses. does anyone knows where can I get the big red sunglasses?? Looks like we’re all looking for the same frames. Rourke’s glasses with the metal temples when he’s getting his documents. Someone tell us!!! I think I’m getting close. I think they’re from D&G. Dolcegabanna.com – the prescription glasses for men – Model 1167 – Color 975. still looking for the ones with the metal temples, though. 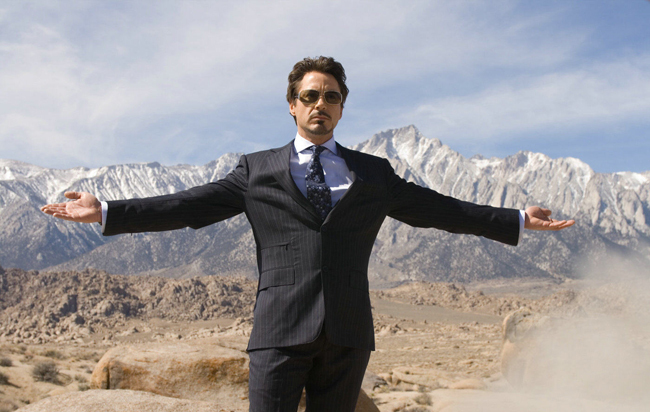 Guys…the mystery IRON MAN 2 frames can be found at http://www.initiumeyewear.com/blog/ …happy hunting. FOUND THEM!!!! http://www.urbanoptiques.com/wp-content/uploads/2010/05/Sama-Deco-3-Eyeglasses-Large.jpg – SAMA EYEWEAR DECO 3!!!!! Hey does anyone know what kind of eye glasses Mickey Rourke wears in Iron Man 2 and if possible where I can get a pair?! Still looking for the frames with the metal temples. Mickey Rourke wore as readers. Help please. Can anyone tell me brand and model of the sunglasses Tony Stark is using in the Court scene??? URGENT!!! Does anyone know what the sunglasses rob is wearing at the end of the movie are with the blue on the frame are? Hey! Are any of you aware of the shades Downey Jr. Wears at the end of the movie–when he’s receiving the badge from the senator? MICKEY ROURKE IS WEARING SAMA DECO 3 WHEN HE’S IN THE ALLEY GETTING HIS DOCUMENTS AND WHEN HE IS FORGING HIS SUIT. In addition to the Sama Deco 3 eyeglasses, Mickey Rourke also wears the “Press” eyeglasses/suns from Sama in Crystal. The Monaco scene includes the Superunknown tortoiseshell sunglasses from Initium (I have ’em and they’re amazing – frames, optics, everything!). The courtroom scene has him wearing the All-in from Initium. One trailer includes the London Fog by Initium. The R8 Spyder driving with Dad’s Stark Expo model panel scene are with the British Steel from Initium. The glasses that Hammer wears are the 7th Son frame which are Rx frames. You can find ’em all at http://www.initiumeyewear.com. Other glasses he wears in Iron Man are Oliver Peoples Corsair. ive looked at the deco 3`s and they dont look like the ones he`s wearing when he gets the pass to monaco in the doorway/alley , does anyone know what they are ? love the spects RDjr. has in the doughnet are they RayBands? does any one know the name of the ray bans robert is wearing in the doughnut shop or wear i can find them? Just to let you know that Initium Eyewear is bringing its designer sunglasses to the UK market. We're celebrating this event, by rolling out a dedicated UK web store in early 2012. Check out our web store now and order your designer sunglasses for next-day delivery in the UK at http://www.initiumeyewear.co.uk!